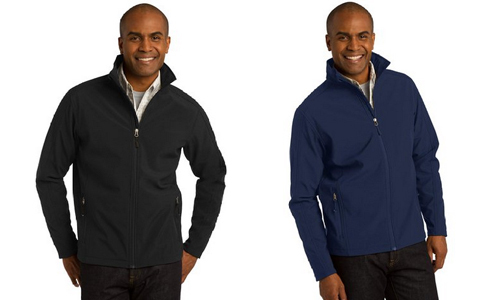 In today’s article we’re going to review the Port Authority Core Soft Shell Jacket J317 for men. We have written several articles, before this one, on the importance of softshell jackets and their purpose. 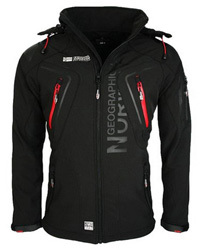 We researched jackets from several brands (Geographical Norway, GORE, Trespass) and selected those that we deemed to be some of the best, when it comes to functionality, comfort and quality. This is another article on the topic of softshell jackets, but unlike the previous ones, where we reviewed several jackets and their main features, in this one we will review a single jacket. This is the first of a new article series on jackets, where we will review different items, one by one, and go into details about their features, material, purpose and quality, so you will have a better understanding and a more in-depth view of each jacket. As we mentioned above, in this post we are reviewing a softshell jacket from the brand Port Authority, and it’s the J317 model for men. Typically, softshell jackets are worn as sports jackets, but they don’t have to be solely used for the purpose of exercising. Since there are many designs available, this allows for a lot of choosing options, because depending on the pattern and color, they can definitely be worn on a day-to-day basis, without making you look out of place. Such is the case with the J317 model we are reviewing. It is a mono-colored jacket, with no pattern or logos on the outside, so it can be used as an everyday jacket for casual outings. It goes well with shirts and jeans, but can also be worn with more formal pants, and of course, with sportswear. This type of jacket is designed to be lightweight, durable and to keep warm, without causing overheating, therefore it is very suitable for cool weather, mostly during spring and autumn, where you can wear it as a jacket on its own. However, since the original purpose of softshell jackets was to be worn as a layer jacket, the J317 can definitely be worn underneath a heavier jacket, ensuring maximum breathability and added warmth. The J317 is made of 100% Polyester material, both on the inside and outside. For the outside, it is a polyester woven shell, bonded to a water-resistant film insert, which means that it can withstand light rain and wet conditions, with a waterproof rating of 1000mm. 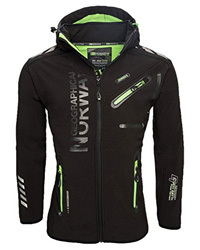 The inside is made of polyester lining of micro fleece, ensuring breathability (a 1000 g/m2 rating), and warmth. 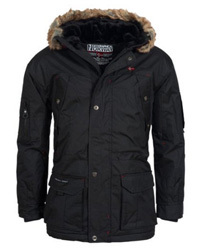 The jacket zips all the way up and comes with a high collar, for added insulation. As mentioned above, this jacket comes in a mono-colored fabric, with no patches or logos on. There are three colors available, which involve: Black, Battleship grey and Blue navy. The good thing about the look of this jacket, is that it can be worn on multiple different occasions, while matching well with your outfit and making you look presentable. Also, since the colors available are neutral colors, they do not affect the whole look of your outfit and they will neither overpower the clothes you’re wearing, nor will they make you look washed-out, which is a main issue when it comes to choosing the correct color for a jacket. When it comes to reviews from buyers, they are essential and quite helpful in determining whether something is exactly as described. The J317 softshell jacket’s online reviews on Amazon describe it as a comfortable jacket, that fits nicely and looks quite good when worn. Several of them also mention the wind and rain resistance of the jacket, as well as its ability to provide warmth, despite it being very lightweight. The fact that there are no logos is a smart choice from the designers, since it allows you to wear this jacket wherever you go, even to work, as some of the reviewers have written. One of the reviews says that it is a very helpful jacket when it comes to moving around with it on, especially since they are an emergency pet hospital facility. They purchased this model for their entire staff! As a conclusion of the whole review, the Port Authority Core J317 soft shell jacket for men is definitely one to be considered. 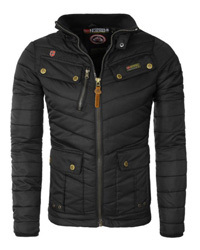 The quality is indisputable and the design versatile, which make this jacket worthy of being given a chance.